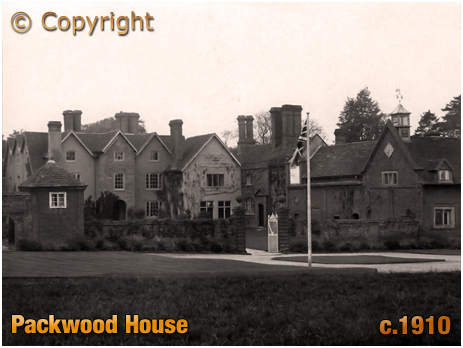 History and Information on Packwood in the County of Warwickshire. 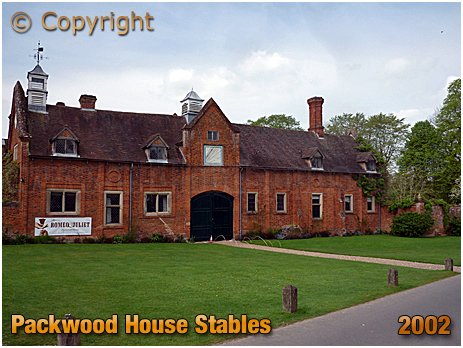 Packwood House is an excellent cycling destination. Any number of routes can incorporate some pleasant lanes with interesting buildings. 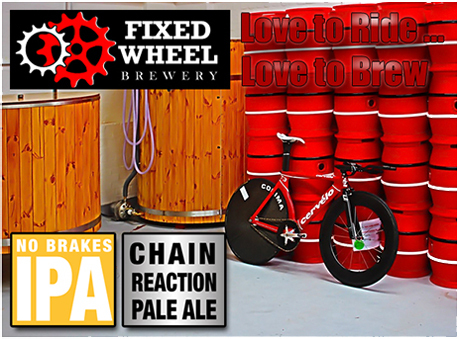 If you are not a long distance rider you can always cycle from a number of local railway stations, tour the parish, see the house, tea and cake in the café, visit the church and enjoy the Railway Inn, the only pub located in the old parish. 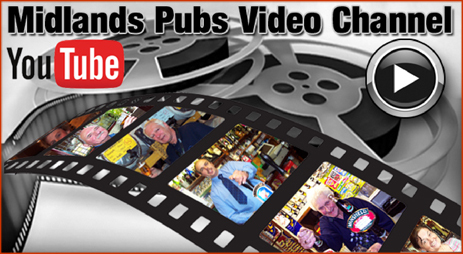 Or you can try out the pubs in the neighbouring parishes of Lapworth and Baddesley Clinton, or maybe Knowle. The name Packwood is thought to derive from the Saxon "Pacca's Wood." 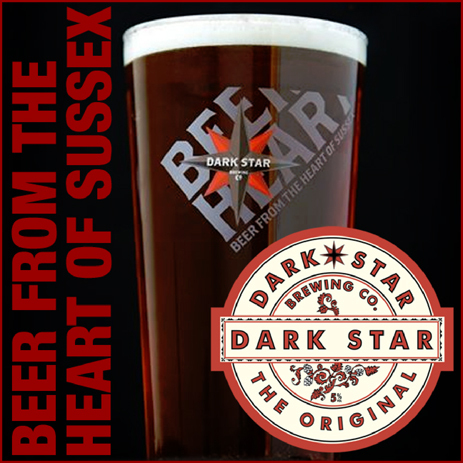 However, if there was a settlement here in the dark ages it has yet to be rediscovered. In medieval times, when the area was owned by Coventry's Benedictine Monks, it was spelt Pakwode. 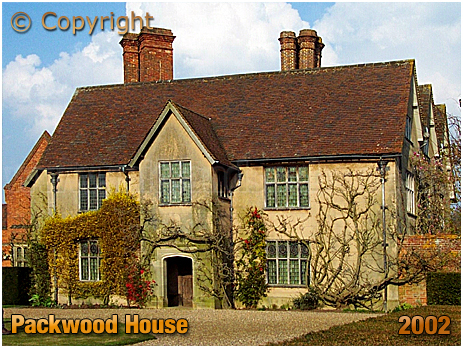 Packwood House was given to the National Trust in 1941. It was built for John Fetherston, descendants of whom were yeoman farmers and lived in the house until the mid-Victorian period. William Fetherston had bought the land from Robert Burdett of Bramcott but it was his son John who built the core of the house you see today. Naturally, the house has been extended and remodelled over the years. The first major change was by John Fetherston's son, also called John, who added the L-shaped office wing and outbuildings. The barrister John Fetherston went through some inner turmoil during the English Civil War for he seemed to be bound to both sides. Some sort of balance seems to have been struck for he allowed Cromwell's General, Henry Ireton, to stay overnight before the Battle of Edgehill in 1642 whilst there is also a tradition that Charles II was given refreshment at Packwood after his defeat in Worcester in 1651. Following some complicated family patterns, the house was inherited by the eight year-old Thomas Dilke of Maxstoke Castle. 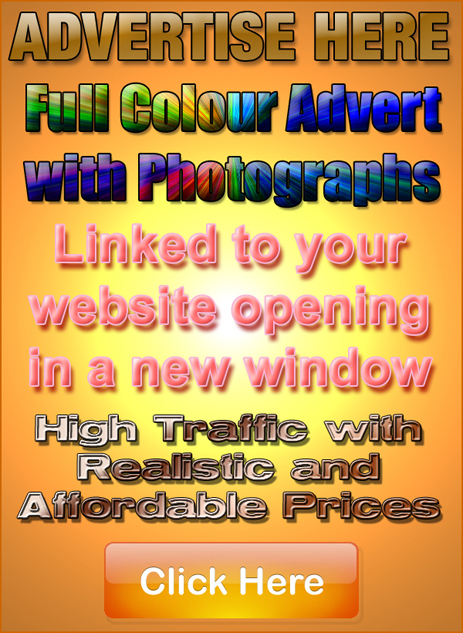 In 1905 the house was bought by Alfred Ash who had made his fortune in the metal industry at Birmingham. It was his intention to rid the house of its Georgian and Victorian alterations and restore it to the original designs of John Fetherston. His ambition was continued by his son Graham Baron Ash who, using materials from other demolished houses around the country, recreated an interior of idealised Elizabethan or Jacobean styles. They offer an insight into the taste and way of life of a connoisseur with money to burn in the period between the wars. Indeed, another regal guest, Queen Mary took refreshment here in 1927. The Baron spared no expense on hospitality in the 1930s, particularly when in office as High Sheriff of Warwickshire. Packwood boasts lavishly furnished rooms containing French and Flemish tapestries and fine seventeenth and eighteenth century furniture. The garden of Packwood house is nothing short of spectacular and is a blend of the traditional country house and the Carolean Garden of the Fetherston's. 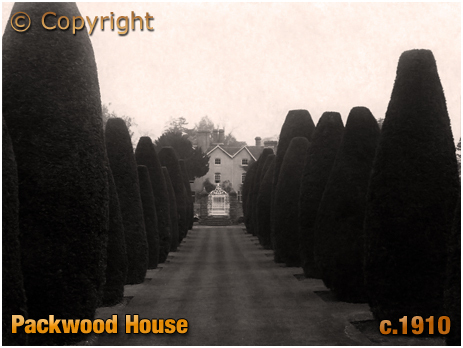 The most unique feature is the seventeenth century Yew Garden which represents 'The Sermon on the Mount.' Another fascinating feature is the Bee Holes built into the south face of the garden terrace wall. They date from before 1756 and housed a colony of straw bee-skeps. Although the parish church of Saint Giles dates from the 13th century, it has been restored much over the centuries and is not without its critics. The register contains the record of the marriage of Michael Johnson of Lichfield to Sara Ford 'of these parts.' The couple were the parents of Samuel Johnson the writer, critic and lexicographer who was born in Lichfield. In 1747, after eights years' work, Dr. Johnson issued a prospectus of a 'Dictionary of the English Language.' It was published in 1755. The church and surrounding fields formed the backdrop for the 1984 televised adaptation of "Country Diary of an Edwardian Lady" because it was to Packwood that Edith Holden cycled from Olton to tend to spring lambs. The church is dedicated to Saint Giles, the first Abbot of Nimes. Following his death in 795, he became the patron saint of beggars and lame people because his abbey became a refuge for such people. Saint Giles is depicted in a stained glass window in the south wall of the nave. Designed by Claude Price, it is a modern piece; it was dedicated in 1969. 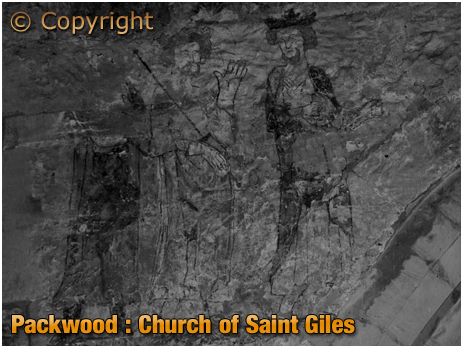 One of the most remarkable features about the church is its wall painting which can be found close to the chancel arch. It was only discovered during restoration work carried out in 1927 when funeral hatchments were removed to Packwood House. The illustration is thought to be a doom painting, one which was prominent to the congregation to remind them that their Day of Judgement was inevitable! Almost beneath the doom painting is the parish chest. It is thought to be Norman and pre-dates the church. It is a 'dug-out' type of chest, in that it was dug out of a solid tree trunk. Such a chest would have three locks and could only be opened when the priest and two churchwardens were present, each of them only having one key in their possession. The font has a little story - it disappeared for some time and was later found being used as a cattle drinking trough in a local farm. Like the chest, it pre-dates the church and is probably Norman. One of the major alterations to Saint Giles Church was the addition in 1704 of the Fetherston Chapel. This brick built structure has been the focus of much criticism " even the vicar, Harvey Fox, in his church guide states that it is "a little incongruous set against the remainder of the grey stone of the remainder of the church building." The Victorians, by adding a mock-Gothic tracery to the chapel, were berated by the art historian Nikolaus Pevsner. Packwood, anciently "Pacewode," is a parish, 4½ miles south from Solihull, 1½ south from Knowle station on the Birmingham and Oxford section of the Great Western railway, 4¾ north-east from Henley-in-Arden and 8¾ north-west from Warwick, in the South-Western division of the county, Kineton hundred, petty sessional of Henley, union and county court district of Solihull, rural deanery of Solihull, archdeaconry of Aston and diocese of Birmingham. The Stratford-upon-Avon and Birmingham canal runs near the parish. The church of St. Giles, at a remote period a chapel appropriated to the monks of Coventry, and subject to Wasperton as the mother church, is a very ancient edifice of stone, partly in the Decorated style, and consists of chancel, nave, north transept, south porch and an embattled western tower, of Perpendicular date, containing 6 bells, built, as Dugdale relates, in the reign of Henry VII. at the cost of Nicholas Brome, of Baddesley Clinton; on the south side of the tower is a dated sundial; on the south side of the church is a timber-framed porch, and on the north a brick transept, not at all in keeping with the building; in the chancel are several mural monuments to the Aylesbury family, formerly owners of Aylesbury House, and in the transepts are tablets to the family of Fetherston; the church was thoroughly restored in 1885 by Mrs. Wykeham Martin; there are 120 sittings, all free. The register dates from the year 1668. The living is a vicarage, net yearly value £190, including 38 acres of glebe, with residence, in the gift of the impropriator, Cornwallis Philip Wykeham-Martin esq. and held since 1894 by the Rev. Ernest Henley Couchman M.A. of Balliol College, Oxford. Near Darley Mill is the Agatha Stacey Home for Girls, managed by a committee; there are at present  four matrons and 27 girls in the home; Miss Davies is lady superintendent, and Miss C. P. Fleetwood, hon. sec. There are some trifling charities, chiefly in bread, and formerly 18 cottages here, with a considerable extent of ground attached, and let to the poor at moderate rents by leases on a trust revocable every 100 years, but this benefaction has now lapsed. 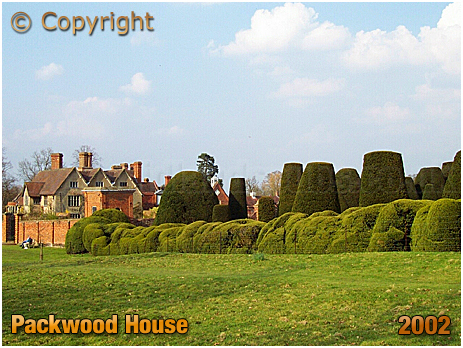 Packwood House, the seat of Alfred James Ash esq. 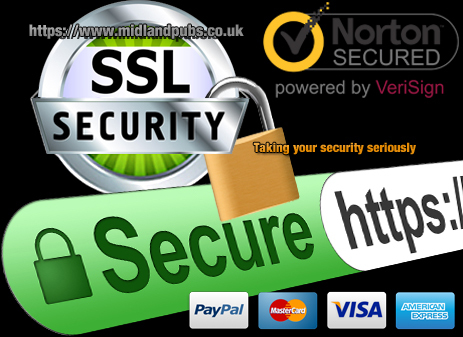 is a fine half-timbered country house of Edward IV. 's time, and has been for many generations the residence and property of the Fetherston family; this house has the distinction of no less than four sundials; one of the most interesting of these is a pillar dial standing on a base of two steps in front of the house, and having a cubical head surmounted by a pyramid with a ball on the apex; the head faces the cardinal points, and thus presents four dials; in the courtyard is a large "south dial declining east about 30 deg." and enclosed within a gabled framework of masonry: on the outbuilding is a north sundial, declining east about 80 deg. with a motto, and also framed; and another of similar character bearing the legend "Septem sine horis." Packwood Hall, now occupied by J. Roland Hewitt esq. is surrounded by a moat. Cornwallis Philip Wykeham-Martin esq. of Leeds Castle, near Maidstone, Kent, is lord of the manor and the principal landowner. Soil, clay and sand; subsoil, marl. The chief crops are wheat, oats, beans and barley. The area is 1,747 acres of land and 13 of water; rateable value, £5,733; the population in 1911 was 860 in the civil parish, and 632 in the ecclesiastical. "The half-yearly meeting of the tenantry of the Warwickshire and Worcestershire Wykeham-Martin Estate took place on Tuesday last, at the Nag's Head Hotel, in the Packwood portion of Hockley Heath. 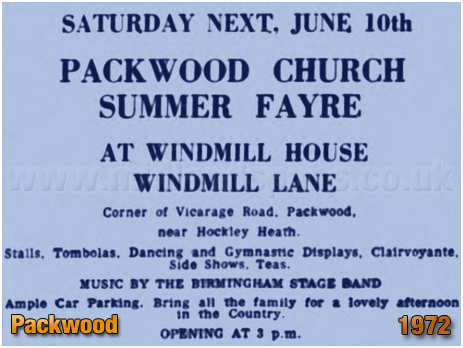 The winter meeting is always larger than the midsummer gathering, because at the former the tithe-payers of the parish of Packwood also attend. The chair was taken by the Vicar of Packwood; and after the usual loyal toasts had been proposed by him, Mr. T. B. Couchman, of Beaudesert House, Henley-in-Arden, proposed "The Bishop and Clergy of the Diocese," coupling with the toast the name of the Rev. R. W. Johnson. Mr. Couchman very kindly referred to the long tenure of the Chairman's incumbency, to which the latter, in reply, also referred. Speaking on behalf of the ministers of religion of every Christian denomination, the Vicar pointed to the great work which had to be done by them all, and the shortness time in which much had to executed. He spoke with hopefulness of the good results which he anticipated would follow from the erection of the North Packwood Chapel of Ease; and alluded to the great work yet requisite to be done in every locality, much of which was within the province of the laity. As to their own district, the Chairman rejoiced in the steps Mr. Muntz and others were taking for introducing a coffee-house at Hockley Heath, and hoped in another year to show large results from an incipient library. With reference to their worthy Bishop, he cited Mr. Muntz's remarks. The Chapel of Ease opening was followed by a public luncheon. "In what good work do we not find the Bishop of Worcester taking a part?" The next toast, "the Army and Navy and other Forces," was given by the Chairman, and responded to by Mr. Joseph Ball, sen., an officer in the Warwickshire Yeomanry. After this the toast of the evening, viz, the "Health of Mrs. Wykeham-Martin," was proposed at considerable length by the Vicar of Packwood, who referred, as he had done by introducing the Queen's health, to the awful loss they had all sustained in the departure of the late Mr. Wykeham-Martin. He referred to the return of ten per cent, made by the widowed lady to the tenantry, which was at a time when that lady was surrounded by expenses. This return she had made, too, at a time from sympathy with the general agricultural distress, and Mr. Johnson added that Mrs. Wykeham-Martin had continued all her annual subscriptions at Packwood. The other toasts of the evening were "Mr and Mrs Cornwallis Wykeham-Martin, and their little girl," proposed by Mr. Ball with and which was overpowering; "Mr. T. B. Couchman," proposed by Mr. Johnson, who dwelt upon Mr. Couchman's long and happy connection with this estate, responded to by that gentleman in the ablest speech of the evening, in which he depicted the relations of the tenantry to their late lamented landlord, his amiable relict with a felicity which warmed every heart, and in which he treated the delicate subject, the preservation of game, in a manner which showed that he knew how to weigh accurately the manly ardour of field sports, and the home requirements of the cultivator; the "Leases of the old Packwood," coupling them with Mr. Ball and Mr. Joseph Fullard; and the "Absent leases of the new Packwood Cottage Trust," of which he was himself a member, and to which, therefore, he could only refer this way, to both which sentiments Mr Ball responded. The meeting concluded at a comparatively early hour, when the Chairman wound up proceedings with a toast and sentiment - the toast, "Mr. and Mrs. Downs," with thanks for the admirable dinner: the sentiment, "Our next meeting." He would not use the word "merry," for we were thinking of him who used to preside so genially over us: but, out next meeting, may it prove as successful as the present." "St. Philip the Evangelist, North Packwood. 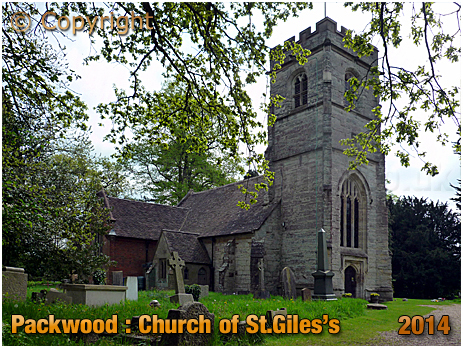 - This little church, built from the designs of Messrs. Payne and Talbot, of Birmingham, was opened for the benefit of an increasing population in November, 1878, on a site given by the late lamented Mr. Philip Wykeham-Martin, M.P., lord of the Manor of Packwood. Miss Tonks, the daughter of Mr. Edmund Tonks, Packwood Grange, kindly acted as organist there from that date to the end of last December, when, to the regret of the congregation, she resigned. The seat-holders of St. Philip's have, in their gratitude for her labours, raised a sum adequate to purchase for the young lady a valuable ring set with cat's eye stone and diamonds and to purchase three works of high repute in sacred literature. The committee which superintended the arrangements prepared an address, which was suitably engrossed, and which was presented, together with the articles mentioned. 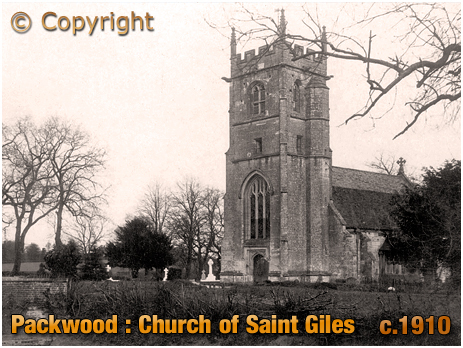 The Vicar of Packwood, the chapel warden of North Packwood [Mr. Shirley Fielding Palmer], and Mr. Arthur W. Burdett were chosen as a deputation to convey to Miss Tonks these gifts." "On Wednesday Joseph Ball, son of the late Joseph Ball, of Packwood Hall, was buried at Packwood Church. Deceased, who for many years had been secretary of the Court Greswold of the Order of Foresters, was followed by about fifty members. He was also Assistant Overseer for Packwood. Mr. Riley attended the funeral on behalf of the Overseers. There were a great many old friends at the church and a beautiful wreath was sent by the Foresters. The ringers rang a muffled peal as deceased had been an old ringer for many years." "The auction of the Packwood Estate, an old family property was held on Thursday week, at the Hen and Chickens Hotel, Birmingham, by Messrs. Chinnock, Galsworthy, and Chinnock, of London. There was an unusually large attendance of gentlemen present, and the most spirited competition was manifested for most of the lots. 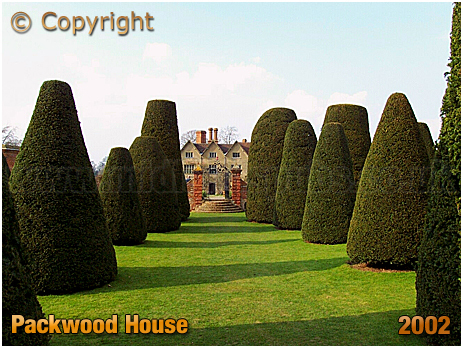 Packwood House, with its curious old yew tree gardens and home lands, realised £19,000. The remainder sold for about £60 per acre, realising altogether £43,970, and the timber on the estate to be paid for at a valuation." 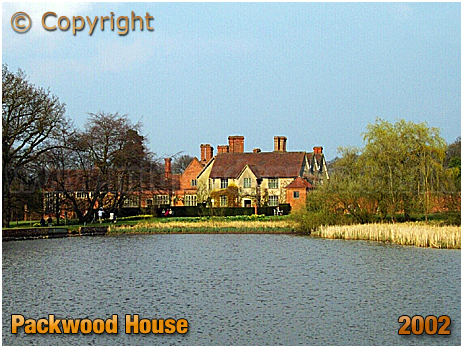 "Sale of the Packwood Estate"
"Many well-known Warwickshire people were present at the wedding on the 3rd inst. at Knowle Parish Church, which had been tastefully decorated with blue delphiniums for the occasion, of Mr. Eric Colon Lawledge, only son of Mr. and Mrs. Frank Lawledge, of Edgbaston, and Miss Elizabeth Rosamond Willmot, youngest daughter of Mr. John Willmot. J.P., and Mrs. Willmot. of Packwood Hall. The service was fully choral. Attired in white georgette, with diamante trimming, and veil of tulle and silver, and carrying a bouquet of choice white flowers, the bride was given away by her father. She wore a platinum bar brooch, diamond set, the gift of the bridegroom. In attendance on her were her sisters, the Misses Mary and Queen Willmot, and two friends, the Misses Vera Herrington and Stella Griffith. All the bridesmaids wore cream net and lace dresses with sashes and hats of dahlia red. The bridegroom's presents to them were pearl brooches, which were worn. Mr. Kenneth Mole, friend of the bridegroom, was best man. The Rev. Herrington, M.A.. assisted the Vicar of Knowle [the Rev. W. Downing. M.A.] officiated. There were about 130 guests at the reception, held at Packwood Hall. Later in the afternoon, the bride and bridegroom, wedding gifts to whom are many and of a costly nature, left for the Isle of Wight." "An inquest was held at Packwood yesterday on Sheila May Skinner, aged six, daughter of Mr. and Mrs. T. F. Skinner, of Hadra Cottage, Vicarage Road, Packwood. The child died from an injury caused by a fall downstairs at home on Wednesday. The mother said that her daughter, who had always been delicate, was discharged from hospital last March. On Wednesday she had taken her from bed and had left her on the landing for a moment. Then she heard a thud and found the child at the bottom of the stairs. She added that the child had been accustomed to going up and down the stairs. Dr. Whatley, of Dorridge, who had attended the child, said that Mrs. Skinner was a very good mother and had taken a tremendous lot of trouble over her daughter. A verdict of "Death by misadventure" was recorded." "The High Sheriff of Warwickshire [Mr. G. Baron Ash] gave an evening garden party at Packwood House on Saturday. It is of interest to recall that the last High Sheriff of Warwickshire who lived there was Thomas Fetherston, High Sheriff in 1691. The scene presented to guests on their arrival was one of great charm. On leaving their cars they approached the house under an awning which had been erected across the beautiful forecourt approaching the entrance to the house. This was most effectively flood-lit, showing up to great advantage the flowers and the old Charles II brickwork of the building. The guests were received by the High Sheriff in the house, and then passed from it into the large loggia which had been extended by the erection of a marquee, the open side of which framed what must be one of the most lovely gardens in England, and one which is so admired by those who have been privileged to visit Packwood House. To stand facing the garden flood-lit with a soft amber light was an unforgettable experience. In the foreground there were large beds of beautiful orange, scarlet and yellow dahlias in masses seldom to be seen. At the far side of the flower garden the raised terrace, with its herbaceous borders, formed a background beyond which was the unique Cromwellian garden of yew trees and box hedges dating back to 1650, all of which stood outlined in the white light which was used with such great effect upon them. On the left-hand side of the foreground there was the Band of H.M. Coldstream Guards [by permission of Col. Arthur Smith, D.S.0., M.C., commanding Coldstream Guards], in a brilliantly-lighted marquee, and during the evening they played a programme of music. On the right of the foreground were other large marquees, the interiors of which were illuminated with diffused amber light. Refreshments were here provided for the guests. The interior of the house, the art treasures which the High Sheriff has collected there, and the beautiful flowers added greatly to the enjoyment of the occasion." "Evening Party at Packwood House"